Although it is fun and exciting to ride a motorcycle, it is also dangerous with so many accidents on the road. Inexperienced riders are responsible for a lot of accidents, but there are also many expert bikers end up in the hospital. It is impossible to avoid every accident, but staying focused on the motorcycle and keeping eyes up will efficiently reduce the chances of falling down or collision, especially when you are having a date with a biker girl. 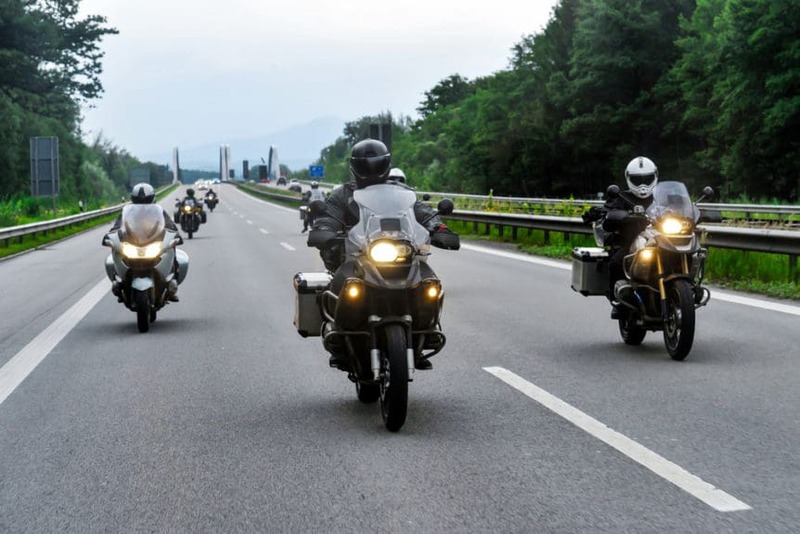 Whether you are a single biker or riding with a passenger, you should pay attention to the 5 risks to keep safe on the road. You are riding attentively doesn’t mean other riders or drivers are driving or riding carefully. Even being clipped by an oncoming car, a single motorcycle rider can be knocked from his bike. The only way to minimize your risk of hitting by oncoming traffic is keeping a constant eye on traffic. Although changing lanes without turning on the light and looking the rear view mirror is forbidden and immoral, there are still many drivers doing the same thing. Since two objects cannot occupy a space at the same time, the bikers will be the victims when a car hits a motorcycle. If it happens at highway, it can be deadly even when a rider is wearing a full set of riding gear. So, single Harley riders need to carefully pay attention to the cars in front of them. Slamming on the brakes will not only lead to a wreck, but also bring risks to the rider that is on the motorcycle. Expert bikers know that grab the front brake too hard will lock the front wheel and throw themselves off the bike. A bike with anti-lock brakes will solve this problem. But new motorcycle riders should learn how your bike handles under heavy braking. It seems exciting and cool to ride through a corner at a fast speed, but it is actually dangerous. Riding at a fast way in a straight road will not be a problem even for a beginner, but to take a corner requires a lot of effort. However, it is not recommended to ride through a corner too fast. Obstacles on the road will make motorcycling more difficult and even dangerous. The worst road obstacle is gravel that will kill your grip and cause the bike to behave unpredictably to cause a wreck. .